Decided to share some of the things that make my daily life a little more enjoyable. One of them is perfume. I used to wear different ones everyday, as storing them properly so they don't become "off" (like wines) was not a problem in Vancouver. However, the high heat and humidity in Tokyo has made this difficult. Have since become very selective of the ones I wear and purchase. 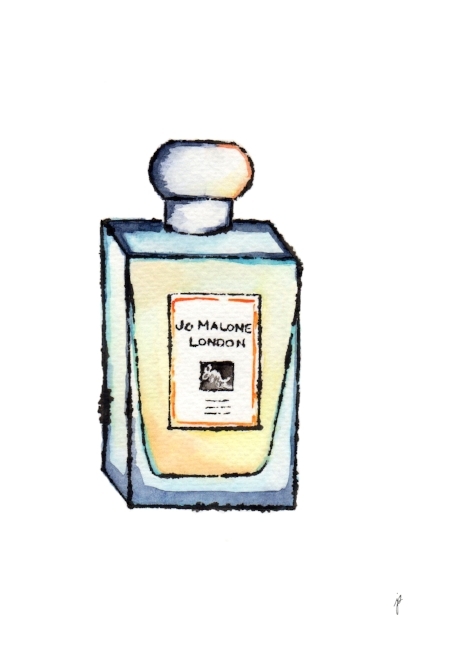 Jo Malone is one of them. I have worn her fragrance for a number of years now, and have always repurchased the same scent. It makes me feel refreshed yet grounded, feminine yet boyish--ready to take on the day. Which particular one you ask? Now, that's a little secret of mine!